This last week our hearts have been heavy. It was a week ago today we lost Sharifu. And a week ago today, Sharifu started running, dancing and playing with Jesus. We mourn and we rejoice. Every Monday morning we start off with our weekly staff meeting. We always check in with one another. This week the check in took up most of the meeting. We discussed how to move forward as a staff, how to support the other caregivers in our emergency housing and the cultural differences in our grief. We made plans for a sunflower garden in memory of Sharifu and had a carpenter come so he could begin measuring for a fence that will enclose it. Our pastor lead us in a prayer to release Sharifu to God. I reluctantly repeated the prayer, still wanting to hold on. Still angry that every time I walk out of my door and look across to the room where Sharifu should be, my heart sinks and I am still fighting back tears, sometimes successfully, sometimes not. We are incredibly grateful for all of the support, prayers and encouragement we’ve received from friends and family back home. So many have written us and been so intentional during this time. I can’t count the messages I’ve received acknowledging that while you might not have the words to say, you wanted to say something and you wanted us to know you were in this with us. You, who never even met Sharifu, were both celebrating and mourning his life with us this past week. And through you, our community near and far, we have felt Him near. Thank you for walking with us through this. I can’t tell you how much it has meant. And He meets us in our doubt, in our anger, in our heartbreak. He meets us there, exactly how He knows we need Him to. In the midst of our mourning, He sends reminders that He is the giver of life. That yes, he takes away, but he also GIVES. He gives abundantly and beautifully. And I want to live focusing on all He has given, not dwelling on what He has taken away. Many of you remember a Mom and baby we asked you to pray for in November. 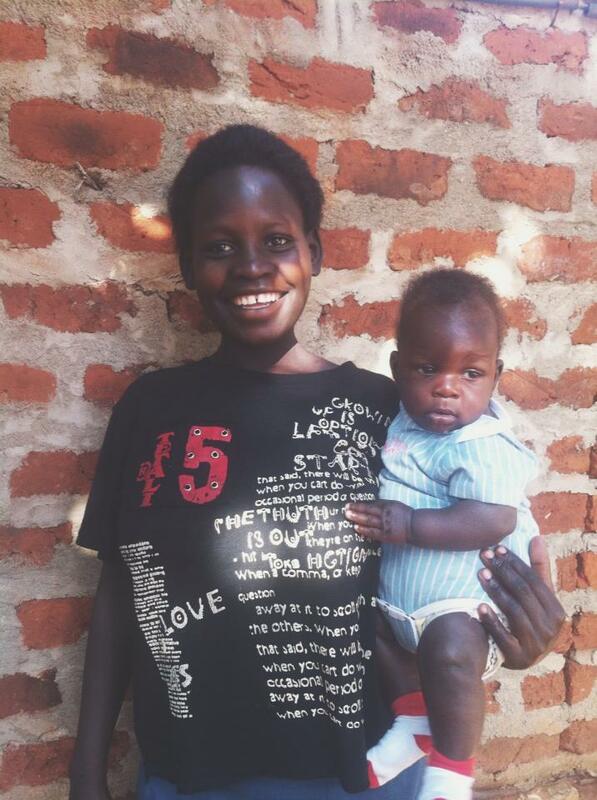 Brenda, at 16 years old, had given birth in the main government hospital here in Jinja and due to complications during her labor, she had to be rushed in for a c-section. 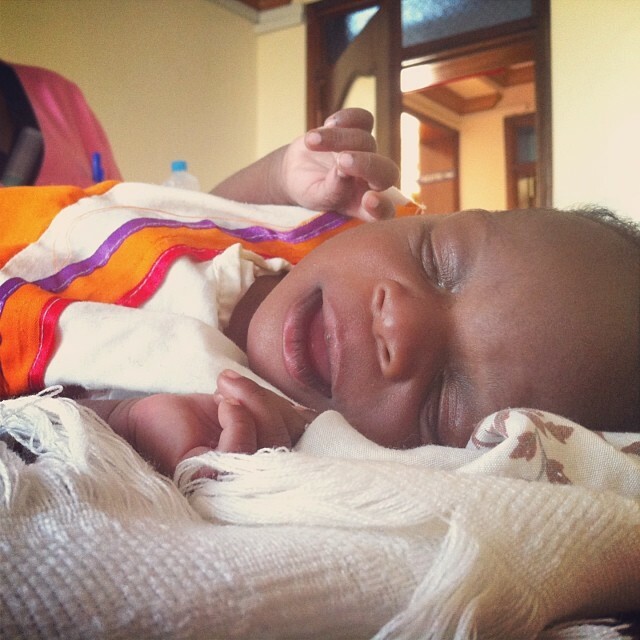 Brenda’s beautiful baby boy was born healthy, however Mom’s post-op recovery was another story. Brenda’s incision was not closed properly, she could not afford the proper medication or a follow-up surgery, which resulted in the wound becoming infected and the incision remaining very much opened 1 month after surgery. Mom became septic because of the infection and was no longer able to breast feed. When we were referred this case we were told, “The Mom is in Jinja Main. She is most likely going to die. She is unable to breast feed and they have been giving the baby black tea and cow’s milk”. At a month old this beautiful baby boy had not even been named as the family was so focused on trying to keep him and Mom alive. The family asked us to name him and we picked Ezra. Ezra, at 1 month old, the day we received the referral. We covered the expenses for the follow-up surgery and medicine Brenda would need to keep the infection away this time. We got baby on formula and some minor medical care he was in need of. One of our case managers, Susan, made consistent visits to the hospital to make sure Brenda was receiving good care and then visits to their home once Ezra and Mom were healthy enough to leave the hospital. Grandmom was a rock-star and helped take care of Ezra and Mom as she healed. In this case, our centre was able to offer the most preemptive form of family preservation. We were able to help keep a Mom alive. In a country with high maternal mortality rates and poor access to healthcare, mothers dying due to complications in childbirth is a major factor in babies ending up in orphanages. If we had not been referred this case, the family would have likely placed Ezra into an orphanage where he could have received formula and proper healthcare. We were able to offer these things while the baby remained with the family and Mom received the medical care she needed to stay alive. This week, Brenda started our parenting and business classes at Abide. Today, when we see a chubby healthy baby in the arms of a Mother we were told was not going to live, we celebrate a life saved and a family kept together. And we thank God for allowing us to walk alongside of this family. 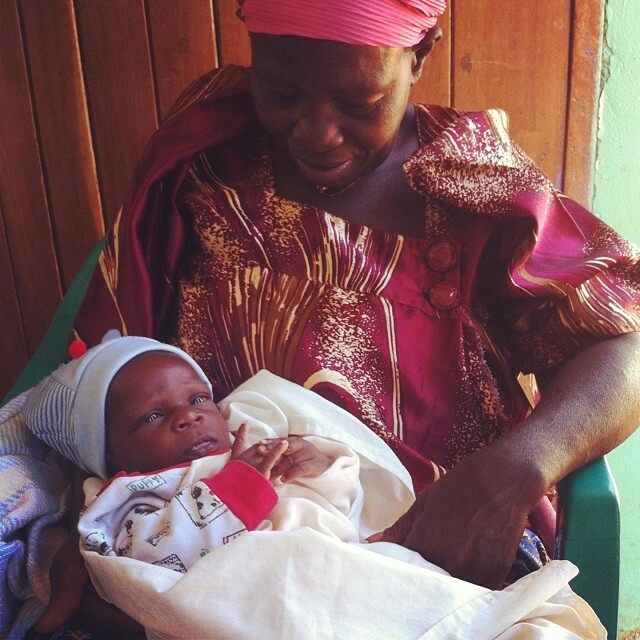 Now that she has regained her strength, she is able to breast feed and Ezra no longer needs formula from us. Ezra is growing big and Mom has hope for their future together. We love the niche in orphan care we get to fill. We love prevention as it allows us the really neat opportunity to come alongside of entire families and prevent orphans from being created. We know and understand that the needs of orphans and otherwise vulnerable children throughout the world are vast, but the truth is, we are not pouring enough resources into preventing orphans in the first place. We are not doing enough to ensure that children are not being placed in orphanages unnecessarily. Rather than accepting systems as broken or non-existent, I invite you to partner with us in helping to create systems that protect children and build up families.